The SASP2019 conference will be held in the beautiful city of Sydney, Australia. The conference will take place at the University of New South Wales in the Scientia Building, walking distance from the stunning Coogee Beach. The conference will begin on Thursday 25 April 2019 (ANZAC Day) with postgraduate workshops in the morning and the full conference opening in the afternoon. Activities will continue right through to the conference dinner on Saturday 27 April, which will be held at Cruise Bar’s Junk Lounge overlooking Circular Quay and the Sydney Opera House. We are excited to announce that our keynote speaker is Professor Kerry Kawakami from York University (Canada). 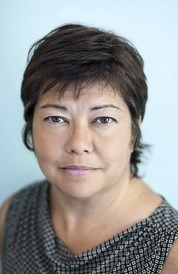 Professor Kawakami is internationally recognised for her work on intergroup bias and ways to reduce stereotyping, prejudice, and discrimination. She is also the current editor of the Interpersonal Relations and Group Processes section of the Journal of Personality and Social Psychology. For more information about Professor Kawakami’s keynote, please click here. The conference will also feature several award presentations (the John Turner Medal, the Outstanding Postgraduate Research Award, the Early Career Researcher Award). Conference registration includes admittance to the conference (Thursday afternoon through to Saturday) and the welcome reception (Thursday night), which will be held at the conference venue. Registration rates are listed below. Please note that these are earlybird rates and will expire on 15th March 2019. The rates will increase by $50 after this date. For current ACPID Members: We would like to invite you to attend SASP2019 and offer you a special rate. Please email lydia.hayward@unsw.edu.au to discuss the options further. Please join us in celebrating the conference with a dinner on Saturday 27th April from 7:30pm. The dinner will be held at Cruise Bar’s Junk Lounge at Circular Quay, overlooking the beautiful Sydney Opera House. This event will be a cocktail-style reception and will not involve a sit-down dinner, however please be assured that substantial food and beverage options will be provided and adequate seating will be available. For more information, please see here. A dinner for postgraduate students will be held on the night of Friday 26th April. This is an opportunity for postgraduate members to network with their fellow students. The dinner will take place at Coogee Diggers from 7pm. For more information, please click here. A series of workshops for postgraduate students will be held on the morning of Thursday 25th April, prior to the official opening of the conference. Postgraduate workshops will take place at the conference venue (UNSW Scientia Building). We have two fantastic postgraduate workshops lined up. Workshop 1 is on Collaboration & Publishing by our keynote speaker Professor Kerry Kawakami. Worlshop 2 is entitled Careers Outside Academia and includes a panel with Dr Dominic Lees, Dr Alexander “Zan” Saeri, and Dr Megan Weier. For more information and to submit questions for the panellists, click here. Attendance at the postgraduate workshops is free for all postgraduate student attendees. Throughout the 3 day conference, iMotions will be offering free 20-minute biosensor-based research coaching and hands-on demos tailored to your needs. During these sessions you can familiarize with and gain further insights into different biosensor techniques such as eye tracking, facial expression analysis, and galvanic skin response as well as learn how the iMotions software can simplify your research. Sign up now to reserve your spot today!